It seems like the gluten-free diet is the new in thing. As people across the globe are adopting a gluten-free diet, Indians are not far behind. But what exactly is a gluten-free diet? Gluten is a type of protein which is found in various food substances such as wheat and barley. Here we present to you a 1400 Calorie Gluten Free Weight Loss Diet Plan for Indians. This diet plan will help you plan you gluten free eating schedule. Many people are unable to consume gluten in any form and if they do, they contract a number of Health issues. The most common form of gluten-intolerance causes the celiac disease. It can also cause osteoporosis, cancer, fatigue, anemia, irritable bowel disease, rheumatoid arthritis, multiple sclerosis and lupus. Gluten is present in various foods that we eat every day – bread, biscuits, cake, cereals, pasta, soup, sauces and salad dressings. How do you know you have gluten-intolerance? 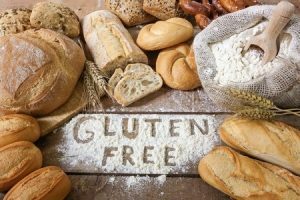 Whether you are are gluten intolerant or tolerant, there are several benefits of following this Indian Gluten free diet plan, Some of them are stated below . Gluten free diets also reduce inflammation in the joints and thus helping in conditions like rheumatoid arthritis and fibromyalgia. These diets are also commonly used in autistic children , as it supposedly brings improvements in such conditions. Gluten free has now become part of a healthy lifestyle. These diets , along with cutting carbohydrates, and eating more vegetables and fruit, help some people lose weight. These diets are practiced by weight watchers all across the globe for its weight loss benefits. Hence we came up with this 1400 Calorie Gluten Free Weight Loss Diet Plan for Indians. please read on to know what is the plan and how it works . How do you go gluten-free? Going gluten-free isn’t an easy task. Many people feel really frustrated when they find that they cannot eat so many foods. It also makes eating out a problem. A restricted diet certainly makes you feel like you have a serious disease and ironically you crave for just the things you’re supposed to avoid! Well, there’s nothing to worry about. Your body will take a little time to adjust to the change but eventually it will adapt. 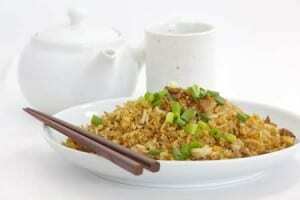 One can prepare various vegetarian dishes that are free of gluten. 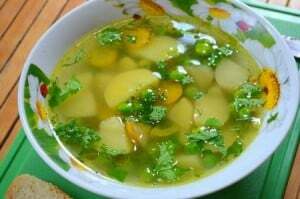 Potato is used in preparing various dishes such as jeera-aloo, aloo-gobhi, aloo-mutter and all these are seasoned with cumin, coriander and red chili powder. Lady finger is another vegetable that is gluten free. You can prepare any of these vegetables with some gravy and serve it with brown rice. if you intend to lose weight with this gluten free diet , then choose healthier and low cal veggies like ridge gourds, Bottle gourds , Parvel , green leafy veggies like spinach and Methi . Most people in India love tomato soup and luckily it is a gluten free appetizer. Indians are really fond of eating lentils at night. These lentils are given a tempering using various regional spices such as cumin, mustard seeds, cilantro and cayenne pepper. These spices are cooked in desi ghee and poured over the boiled lentil to enhance the taste. Another legume dish which is gluten-free is Pindi Chana. Based on chickpeas, Pindi Chana is a hot favorite in northern India. Besides tomato soups , you can also choose amongst other healthy veggies for your soup opotion. Choose amongst spinach , carrot , mix veg , beet root , onion , corn and chowder soup . these soup are healthy , nourishing as well help in weight loss. Cheese or paneer tikka can be made gluten-free by coating it in yoghurt in place of flour before placing it in a clay oven or a tandoor or griller . Shahi paneer or paneer makhni is a savory vegetarian dish with tomato gravy and it is free of gluten. 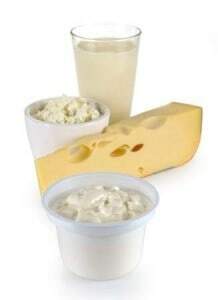 Plain yogurt and mixed raita are both gluten-free side dishes and best when it comes to weight loss. Indians love to eat rice in various forms . Pea pulao, biryani, curd rice, Himalayan red rice, sweet rice, spinach rice, jeera rice or boiled rice, Indians like them all. Just replace white rice with brown rice or wild rice. All rice based dishes can be teamed up with yoghurt and/or any other curries in a 1400 Calorie Gluten Free Weight Loss Diet Plan for Indians. Various poultry, mutton and fish dishes can be prepared gluten-free very easily. 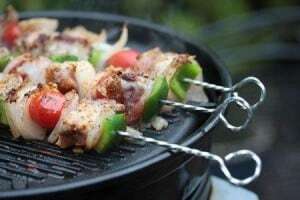 Chicken tikka masala, Achari fish tikka, chicken korma, seekh kebab, lamb kofta kebabs, chicken salad and all time favorite butter chicken are all gluten-free recipes. chiken broths and steamed fish or grilled fish are best for weight loss. Indians are very fond of eating chapattis, parathas and naans with gravies and vegetables but unfortunately, these are off the limit since they all contain gluten. Well, you need not lose heart because there are still plenty of options that can be prepared without gluten. Some of these are idli, dosas, vada, papad and chana dal cheela. If you want to eat roti , you can have ragi roti , rice flour roti , bajra or jowar flour roti. All these can be combined with any curry and relished with chicken dishes too. So combining all the mentioned tips and points given above , we have tried to formulate a 1400 Calorie Gluten Free Weight Loss Diet Plan for Indians. Wash and clean the chicken legs. Prick the chicken with a fork. Take a bowl and mix all the ingredients and add the chicken. Use your fingers to rub the marinade all over the chicken and put it in the refrigerator for at least 4-6 hours. Heat the grill/over/tandoor and put the chicken pieces to roast till they are brown. Sprinkle some chat masala and serve with onion rings. Boil the potatoes and allow them to cool a bit. Peel them and mash them in a bowl. Add the spices and coriander leaves and mix thoroughly. Make small tikkis with your hands. When the oil is hot, put the tikkis in the pan for frying. Serve hot with mint chutney! Hope this 1400 Calorie Gluten Free Weight Loss Diet Plan for Indians be of help to you . If you have any queries regarding this diet plan you can write your questions in the comments and we would love to help you out. Very useful tips and great gluten free recipes.Thank you so much. my pleasure . keep reading at Dietburrp !! I wanted to know tips for weight loss for people with PCOD. Can u please share some diet plan for that? hi payal wanted to know from where you operate and how to get in touch with you. What are the charges and a diet plan for weight loss (veg based). Is it ok to have dinner minus the carbs also if you can give some options. I am in Delhi and have been working out since the last 3-4 years and trying to control my diet. Post marriage its becoming a challenge to maintain. I came down from 65 to 50 kg. yes you can have an all protein dinner. the diet plan mentioned above will help you . Can I eat dak,ghiya,rajma,beans,channa in lunch with bajra like roti in this dite plan and is besan and sooji gluten or they are gluten free and if you can gives some more options for breakfast.and for how long do I need to follow this plan. ghiya and beans are fine . rajma and channa canbe had in less quantity , i dunno what dak is . suji has gluten as it is made out of wheat only . you can follow the plan till it makes you lose weight . if you are taking a balanced diet , then 65 % to 70 % of your calories should come from complex carbs . Hi..I am new to your blog. Recently diagnosed with Hypothyroidism and been gaining weight. Feel lethargic as well due to this. Have previously tried a structured diet plan to lose weight, it worked but now it doesn’t seem to work and its difficult to follow it. Is the above plan useful? Also if you can share substitutes for the food items presented in the plan. Hii Payal, good morning..I was searching for indian weight loss as well gluten free diet plan and landed here. I am going through so many medical conditions after menopause..biggest is weight gain…I eat balanced food but still I am gaining weight. My body is producing too much heat..I have severe headache, acid reflux so throat pain, arthritis, too much hair losswatery eyes with vapour. Recently met a girl who has adopted a gluten free diet and losing 2 kegs every week which is just impossible task seems to me as I m running 50. Now I want to know this diet plan will work for me?? Or I need more guided plan.if it is please help me . I am ready to pay for this. Thank you and god bless you for guiding people. Hi , I have been diagnosed with fibromyalgia and experience frequent headaches , muscle pain . I also experience anxiety and sleeplessness once in a while. I was reading up and got to know that I should go for a gluten free diet and cut down on sugar and caffeine . What’s the best way to treat fibromyalgia ? If you could help me with this please . have you tried accupressure ? it has worked wonderfully for some of my clients with the same issue . so for the long run , you should definitely give it a try . yes gluten free diet will help you in a way . also you should include a lot of vibrant coloured veggies and fruits , (red , yellow , orange , fresh green ). these fruits are rich in anti oxidants and helps a great deal . coconut water is beneficial too. if sleep is a major problem , keep yourself away from caffeine foods like tea , coffee, soft drinks , tinned food. Want to lose 20 kg iweight 2 months. I have diabetes and ulcer problem. Kindly suggest me diet plan. Want personal consultation send me the procedure. https://www.dietburrp.com/diet-services/ check this .. sending you t he details on mail . I have got this very rare disease known as geographic tongue (Please do google it to see more images). I really want to get rid of it and I am trying to check out with multiple people for its cure, but all in vain. If you have any idea about it, please do let me know. I am too scared to talk to my friends too and I have it for more than 2 years now. Please do help me! Hi Ekta , this feeling is nrmal when thyroid gland fuction is affected . but dont worry , with the medicines you will start feeling better in a month . weight loss is essential in your case , but are you breast feeding your baby ? if yes , it will have to wait . I do not have any significant health issue. But I do feel lazy after having lunch. Usually I take 2 or 3 parathas along with papad or curd in the breakfast. Sometimes I drink a cup of milk after breakfast. I take 2 chappatis along with veg subzi in the lunch. I am not sure if gluten is producing that laziness. I usually start my morning with a cup of Indian tea along with one Marie biscuit. I really feel low in the afternoon after lunch and not able to focus on my work. Can you please suggest if there is some problem in my diet? Yes going gluten free will help you in reducing the lazy feeling after lunch . you can start having a cup of green tea after your food this will help you in feeling energetic. also i f you are a little or more towRDS OVER WEIGHT ( YOU HAVE NOT MENTIONED YOUR WEIGHT , HENCE) THEN walking for 20 mins after meals will help you feel lighter . Hi Payal I m a mother of 14 year autistic son I want a gluten free Indian food diet plan for my son to reduce his anxiety and aggression. you can use the above mentioned menu items for your son . just dont stick with calories and quantities , let him eat what he wants . the agreesion and anxiety will come down if the caffeine intake from his diet is reduced . well kids this age are not into tea and coffee , but a lot of chocolate , and cold drinks have a lot of caffeine , so you can check labels of the foofd he eat . I am 77 kg and 5 feet person with arthritis. It gets difficult to exercise or walk. Need to lose weight . Mailing you the details . please check . i need grain free diet chart for 3 months. i am 91 kg, 5ft 4inch, with arthithis problem. need to loose lot of weight. pls suggest. please see this page – https://www.dietburrp.com/diet-services/ we will plan a detailed diet to suit your requirements , medical condition and body stats . also mailing you the details. Or You can try following the diet plan mentioned above in the article.- http://www.dietburrp.com/indian-diet-plan-for-weight-loss/ this is a general 1200 calorie diet plan and has helped many. it may be of help to you as well. Gluten free diet is not a must must thing for you . but you can try it as a variation for 1 week and see how much weight you lose with it. whatever you choose to follow, exercises are must . Ma’am , I am diagnosed with Endometriosis and have undergone a surgery. I want some tips on my diet. the aloo tikki recipe is coated with bread crumbs and bread is not gluten free…. so…? I am 37 years old and my weight is 87. recently i am diagnosed with Bp and Gerd. After eating, i am feeling bloated ,fullness due to gas . It causes shortness of breathing and anxiety sometimes . Need to loose weight considering all above health conditions .please guide me about diet . I liked your gluten free diet plan. I was gluten intolerant and was on a gluten free diet for the entire last month. However, my weight hasn’t reduced 100 grams. What could the reason be and how to overcome it? Hi Payal, am 32 yrs with thyriod , am using 100mcg . My weight is 89 kgs and after doing workout also not reducing weight. My meal is typical south indian brahmin meal. Pls tell me what I should do to lose weight. Am planing for my first baby. Hi I want to lose my lower belly fat and arm fat. Which diet and exercise to follow ?